When I was growing up, we were shown clearly defined gender roles in our home and in our church. My mom was a full-time homemaker and my dad worked hard to provide. When we went anywhere as a family, my dad drove and at restaurants, he was always the one to pay. He took care of the broken and heavy things in and around the home. He took us to church every Sunday and once in a while read Bible stories to us. He prayed at family meals. He was definitely the head of our home. In our church, I never remember a woman getting up on stage except to sing. No, they weren’t worship leaders who gave little mini-sermons between songs or pray, and they didn’t give announcements. They were quiet in the churches. My children had the same upbringing. I was home full time and Ken worked to provide. He always drove, paid at restaurants, took care of the heavy and broken things in and around the home, and prayed over family meals. Our children were given clear examples of maleness and femaleness and their roles. They have all grown up to exhibit these same roles in their families, thankfully. God has given us clearly defined gender roles in the family and in the Church. There’s no confusion about this. No, mothers aren’t supposed to be the providers for their families. No, men aren’t supposed to be Mr. Mom. No, women aren’t supposed to give mini or long sermons in the churches or be in any type of leadership positions in the churches. Women were deceived into believing that their lives at home with their children didn’t matter and they turned culture upside down. The solution to this tragedy? All of you who love the Lord Jesus Christ and want to please Him in all that you do, strive to live in obedience to His commands which aren’t burdensome because His Spirit works mightily within you. He calls you to be a keeper at home with your children. You are a help meet to your husband. This is God’s perfect role for you. Make sure your children are clearly taught and shown the beautiful differences between male and female. Rebel against our feminist culture and love the role that God has specifically designed for you. Your family will be blessed and your children will most likely grow up to be emotionally stable and secure and be content with who God made them to be; for godliness with contentment is great gain. Male and female created he them; and blessed them. I notice you quote John Piper some. I see he is connected with Beth Moore some…do you know anything about that? Just want to get your take on it since Beth Moore is not someone we should be listening to..in my opinion. I’m not sure how much he is connected with Beth Moore, Pam, but I agree with a lot of what John Piper writes. He’s a solid preacher of the Word. No, I don’t agree with everything he believes but I wouldn’t be able to quote anyone but the Bible if I had to agree with 100% of what they wrote and believed. I think that if we listed the traditional tasks of men and women, we’d see that they are already “equal,” at least in terms of importance. Yes, we need men to do our heavy lifting, giving sermons, and providing for the family. But look at how vital women are to their success! Imagine a man going to work with no warm homecooked meals and dirty clothes. He would never succeed at his job or get a raise or promotion . Men and women balance each other perfectly. His success depends on his wife’s support, and her ability to stay home and do those things for him depends on his success. It’s a never ending perfect circle. Yes, Liza, God created separate roles for a reason, so marriages and homes would run smoothly. It’s a beautiful thing when husbands and wives obey what God has called them to do. Yes! What you said is biblical and true! I loved reading about your household growing up and also with your family! It’s so sad that more women don’t understand how perfect God’s ways are for us, Katy, even when they watch marriages and lives that are living according to God’s instructions and see how good they are compared to those living culture’s ways. You and your family are very blessed! I was gonna comment on this the other day and decided not to but thinking more on it…I think it’s worth mentioning. You talk about the husband driving the family around a couple times in this article so obviously that’s important to you. I love it when my husband drives..it feels like a show of him leading us. My husband was truck driving for awhile though and didn’t care to drive when he wasn’t working so he always told me to drive. At first I was a bit upset by it because I didn’t want to feel or look like I was the leader in our family. I’ve come to realize that I can completely show my submission to him by driving our family around.. because that’s what my husband wants. I can drive us around without thinking of what others are thinking because God knows what I’m doing. HE knows I’m just doing as my husband has asked.. I’m not trying to be controlling at all. If I wanted to control the situation then I would tell my husband to drive instead since he’s the leader. Anyway.. I hope that makes sense. It’s great seeing men driving the family around but when he just doesn’t wanna drive…he can still lead and a wife can still submit by relieving him of driving. Of course, Brittany! You are living in submission to what your husband wants so your children are clearly seeing the differentiation between roles. I was just giving some examples I saw growing up but the key is to make sure your children know there is a difference between male and female roles. I found your blog while searching for Titus 2 encouragement. I am a younger lady, and wife, and mother of 4. I enjoy my job being a mom. However, I do not see scriptural evidence for men to always be solo breadwinners. 1 Timothy 5:8 (he who doesn’t provide worse than infidel) is in the context of church welfare for widows. A widow should not have to throw herself on the mercy of charity because her responsible relatives refuse to help out. Men as sole providers is a standard tied more to culture and income level than it is tied to Scripture. I am blessed with a husband who works long hours so I can stay home and homeschool. But my heart breaks for so many of my sisters in Christ who work outside the home, not to keep up with the Joneses or make up for a lazy husband, but to keep their babies fed and clothed and warm. Where can they go for Biblical encouragement? 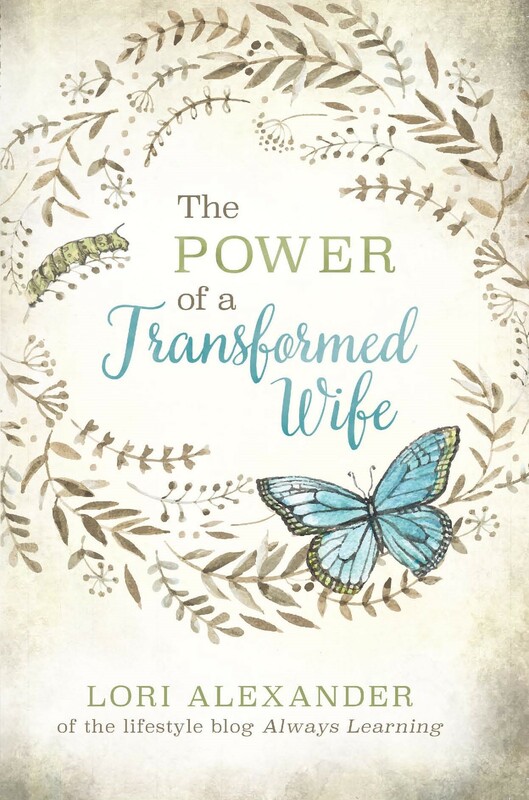 Books and blogs to inspire the Godly wife and mother frequently look down on or outright condemn “working moms” as being outside of God’s design. How can we build up all of our sisters in Christ? Calling any mother “a bad mom” is not to be done lightly. God has instructed older women to teach young women to be “keepers at home” for a very good reason. Children need and want their mothers home full time to grow up to be emotional stable and secure. Don’t you wonder why children are such a mess today? I encourage you to read “Home By Choice.” It has nothing whatsoever to do with “mommy wars” or calling anyone a bad mother. It has everything to do with what God has called us to do and what is best for children. Thank you for replying to me. Who is the author of the book you mentioned? When I feel frustrated, my husband reminds me to “be a mom.” Other people can cook, clean, and take care of kids, but no one else is your children’s mom. I have a special relationship with my kids that is irreplaceable.